Do you work at a school or an activity club? FamWeek simplifies your job! Spend your time with the children, and not on more administrative tasks than necessary. How many children are you responsible for? In FamWeek it is simple to register when the children arrive. You also register when they leave, and you know which persons that can pick them up. On excursions, FamWeek’s inventory functionality helps you to ensure that you bring all the children back. The parents register the child's absence and vacation in FamWeek - hence you have full control . 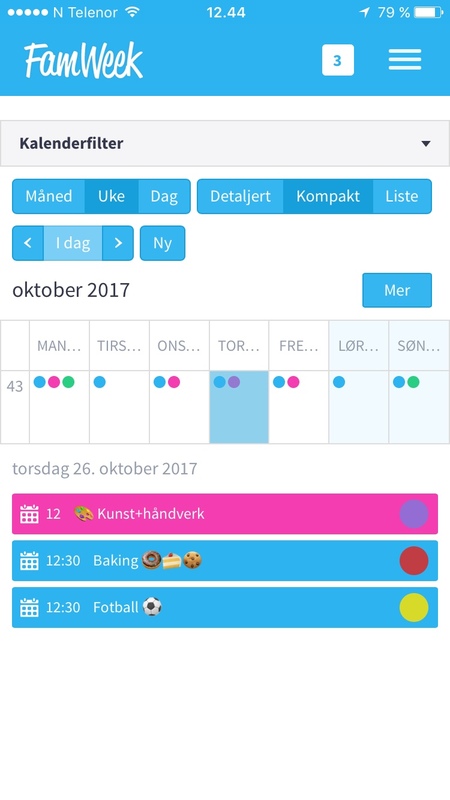 You can extract attendance reports that simplifiy all the administrative tasks related to vacantion planning - and that give you more time with the children! In the calendar you inform the parents of everything they must remember. A log shows you everyone who has read your messages, and it is easy to get an overview of participants in the upcoming meeting you invited to. Share daily activities or special events with the parents through secure photo share.